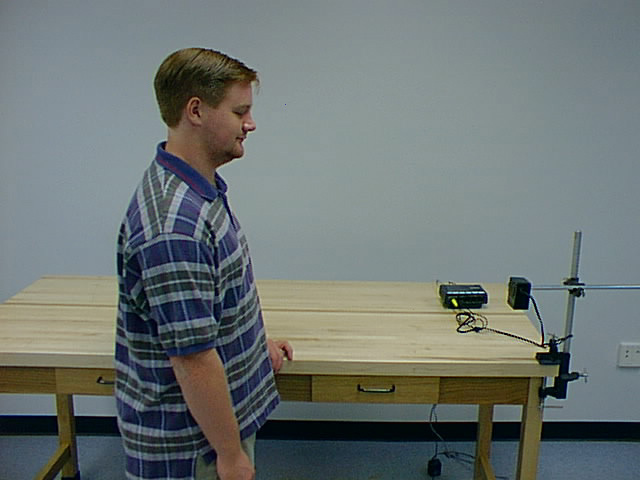 This experiment uses the computer and the multimedia system to display graphs of Distance vs Time, Velocity vs Time and Acceleration vs Time. An ultrasonic sound wave is emitted by a transciever and the signal bounces off of a moving object such as a person walking across the floor. The return signal is then timed and used to calculate the distance, velocity and acceleration based on the speed of sound.